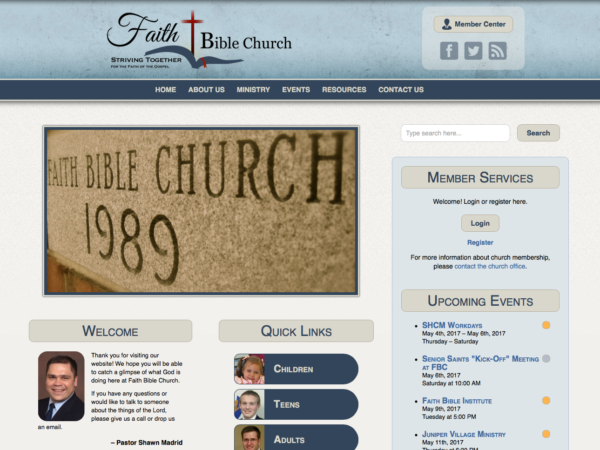 Faith Bible Church needed a new website for presenting general ministry information, distributing prayer requests to members, and managing events and activities. This fully responsive site is what fit the bill. It’s noteworthy features include the simple event management system and private Member Center. The church secretary can easily distribute prayer requests and other information to members by simply posting them in the private Member Center. The updates are instantly live on the site and sent out to the members’ email inboxes.